Did you know that Aveda is the first beauty company to use 100% post-consumer recycled PET? It’s also the first prestige beauty company to combine PCR and bioplastic in a plastic tube, which means when 100% post-consumer recycled material isn’t possible, we combine the PCR with bioplastic – primarily made from a by-product of sugarcane, which is quickly renewable and sustainable. All Aveda products are manufactured with 100% wind power, through renewable energy credits and carbon offsets that balance our electrical and natural gas usage. Although we are not completely carbon neutral (as we don’t offset emissions from transportation, use, disposal and other impacts of Aveda products and ingredients purchased from suppliers). Aveda do not, have not and never will test on animals, nor ask others to do so on our behalf. Aveda were the first company to sing the Ceres Principles for corporate responsibly, calling for the safe guarding of the Earth and ‘its inhabitants’. The overwhelming majority of our products contain no animal-derived ingredients. On rare occasions ingredients such as whey-based protein, beeswax and honey are used. In many circumstances Aveda do their bit, from the manufacturing plants being certified wildlife habitat, constructing nesting boxes and houses for a variety of bird species, funding water quality work for rivers, sponsoring butterfly gardens, practicing bee friendly gardening in our HQ to donating to the recycle for rainforest project, animal humane society and the national wildlife federation. Avedas network have raised over $8million for grassroots organisations whose objectives are to protect endangered plants and their relevant area, consequently protecting the animals that live within those boundaries. We also support the endangered species act and gathered more than 500k signatures from our network and guests to support it. Finally the bark paper used for Christmas gift boxes are certified wildlife friendly and protect 34k acres of forest which in turn preserves the many species of wildlife that live there. 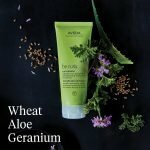 Aveda products have an average 96% plant based ingredients! Environmental responsibility is uppermost, but a close second is our goal to produce products of exceptional performance. Key ingredients come from various habitats around the globe and through fairness and integrity, we look to positively impact on people and economies that we deal with. Aveda firmly believes that we will succeed in our goal by string to use what we call ‘green ingredients’. These green ingredients must be naturally derived, certified organic or sourced from sustainable or renewable plant based origins that do not in any way negatively impact the ecosystems that they come from. By doing the above, we continue to honour the mission statement we live by to care for the world we live in. We have increased our purchase of organic, raw herbal ingredients and organic essential oils to more than 90%. Our Soil to Bottle™ policy allows us to trace and document the source of ingredients from farm or harvest all the way down the supply chain. So there we have it – 5 fabulous reasons to always get your beauty and haircare products from Mary Ann Weeks Aveda! We are on Guildford high street and at The Heart shopping centre in Walton and have a wide range of stock to choose from. 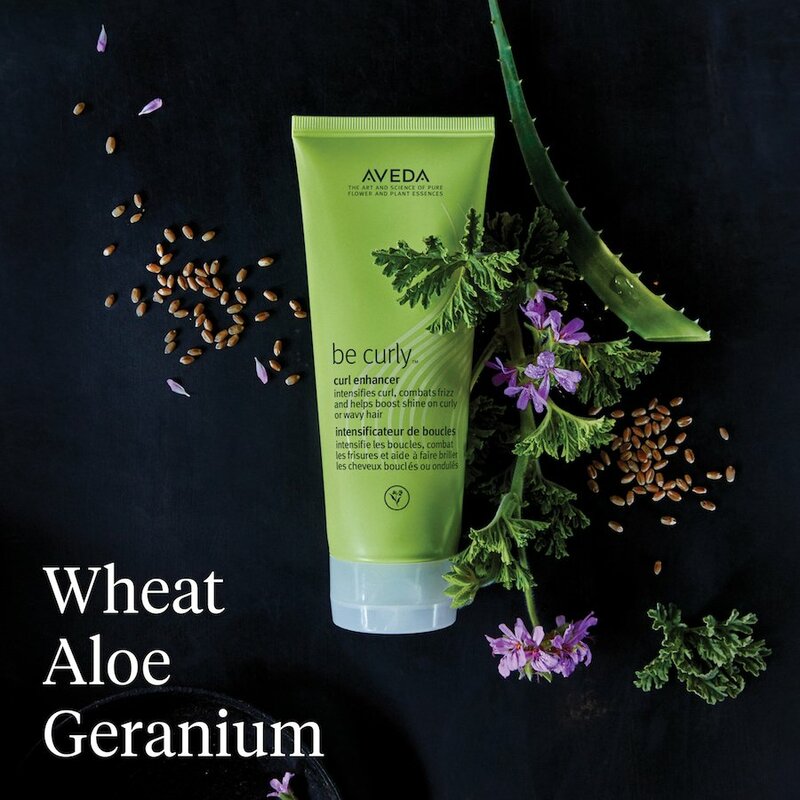 Our knowledgeable stylists can recommend specific products for your hair type and styling needs and our beauty therapists can prescribe Aveda skin care and makeup products personal to you. We recommend an Aveda anti-ageing even skin tone personalised Tulasara facial which not only feels like utter bliss, will visibly improve your skin whatever condition it’s in. Call our Guildford team on 01483 306655 or Walton 01932 240856 to book your hair or beauty appointment now.